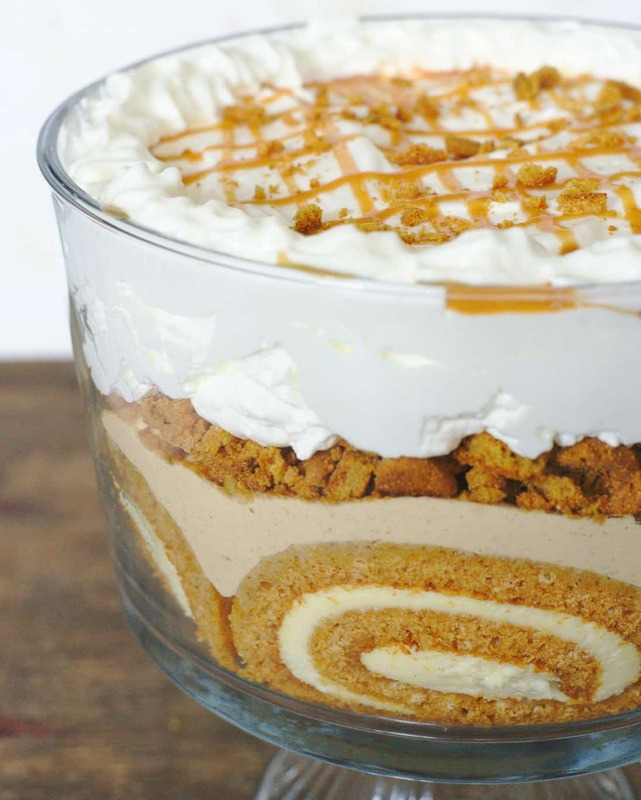 14 Amazing Best Ever Trifles, seriously, these recipes are outstanding! 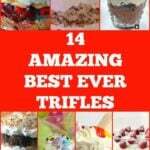 14 Amazing Best Ever Trifles, seriously, these trifle recipes are absolutely outstanding! Oh my goodness! 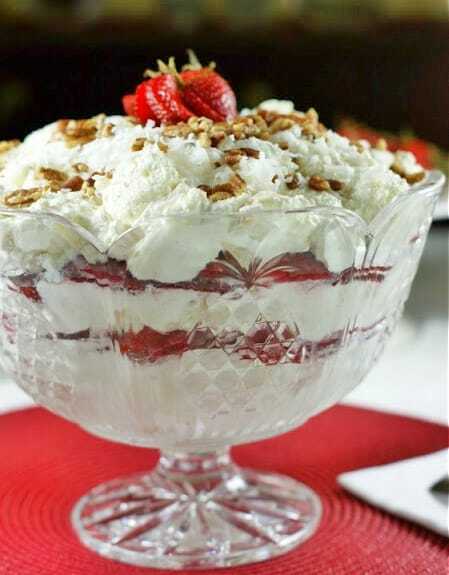 I have yet to meet someone who doesn’t like, no, LOVE trifle! 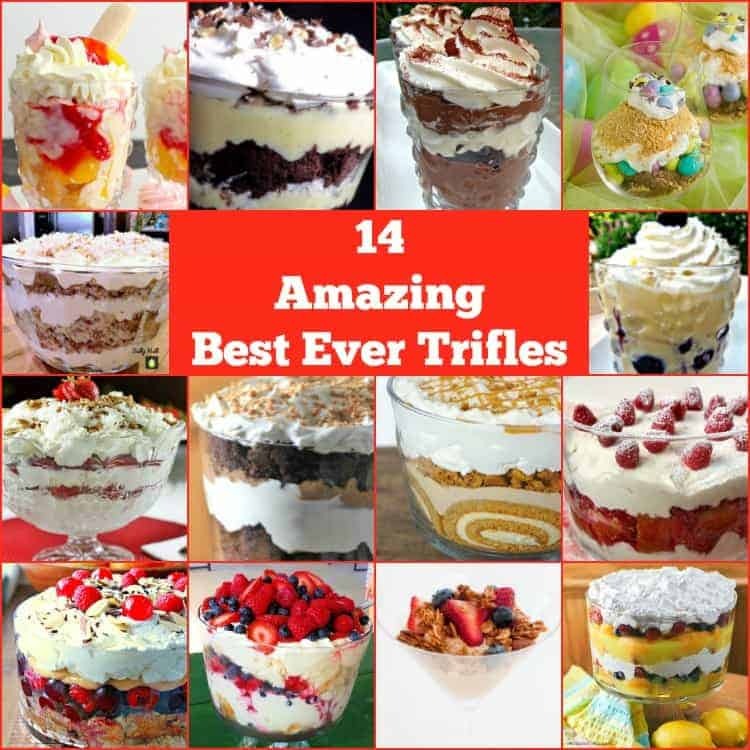 Here we have got a wonderful selection of 14 AMAZING BEST EVER Trifles! When you look at the photos it is instantly obvious that trifles are so versatile and come in so many different flavors with filling pretty and delicious enough to make anyone drool! For our post today, I’ve made a lovely selection of trifles from our blogger friends who I know are great cooks and the trifles we’re sharing today are all tried and tested and most definitely keeper recipes. There’s a trifle recipe to suit everyone here, so don’t worry, you won’t need to go looking all over for a recipe. Just scroll down and take a look at what we’ve chosen, and remember, these Amazing Trifle recipes really are the best ever so you can be sure they’ll be a hit with your family and friends. Of course, it’s fast approaching Thanksgiving and Christmas time and what better dessert to make than a trifle or three? You can make a selection if you’re planning on having a crowd around, for example, you could make a chocolate one, a berry one and a spiced one, or indeed, make them in individual glasses. I’ve chosen these recipes for many reasons, and one being they’re all so versatile, so they will suit any cook, whether you’re new in the kitchen or a well experienced cook. Most of the recipes give you an option to make all from scratch, or use some store bought ingredients such as the whipped cream or ready baked cake. So don’t worry, you simply choose whatever you find the easiest and can manage! Oh boy! Trifles really are fun to make. You can also get the young ones to help you with the different layers in the bowls, perhaps they can help you add some decorations on the tops, even choose the color of sprinkles if you choose to decorate your amazing best ever trifle that way! Which ever trifle or indeed trifles you choose to make, you will certainly have fun and your diners will love you forever! So let’s take a look at the trifle selection we have. They’re in no particular order because they are all great trifle recipes, so be sure to scroll down to see all 14 of them before you take your pick which ones you’d like to make for Thanksgiving or Christmas, or indeed any time! A very special thanks must go to our bloggers who have kindly shared their recipes and allowed us to share them with you all today. They’re a friendly bunch so if you find you have any questions about the recipes, just ask them in the comments under their recipes and they will help you. This is the most amazing trifle! Layers of classic fluffy Italian Cream Cake combined with delicious layers of creamy pudding, pecans and coconut will bring smiles to everyone who eats this! What a beautiful trifle! and did you know Southerners called trifles ‘Punch Bowl Cake’? 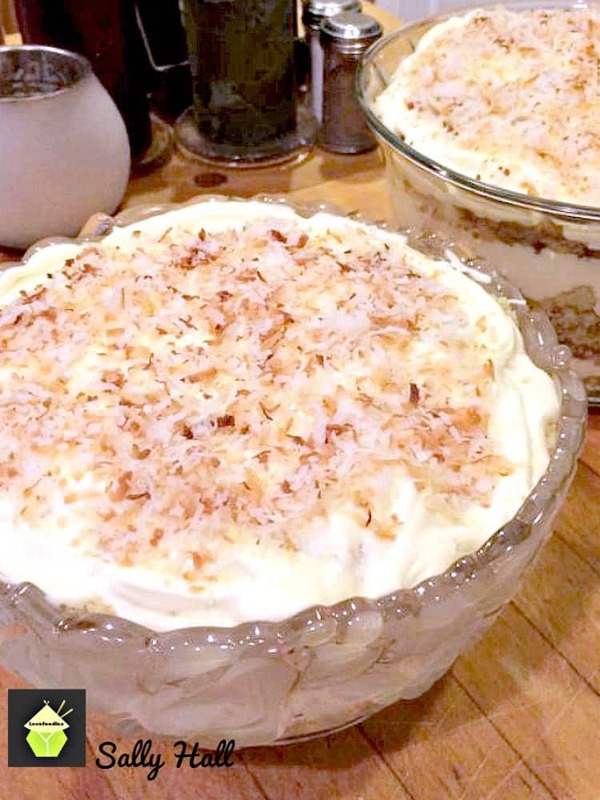 Hop over to Tracey’s recipe and read all about it and how to make this delicious dessert! Just feast your eyes on all that delicious chocolate and yummy caramel! This is a perfect combination for any chocolate lover! You see! I told you we had something for everyone! 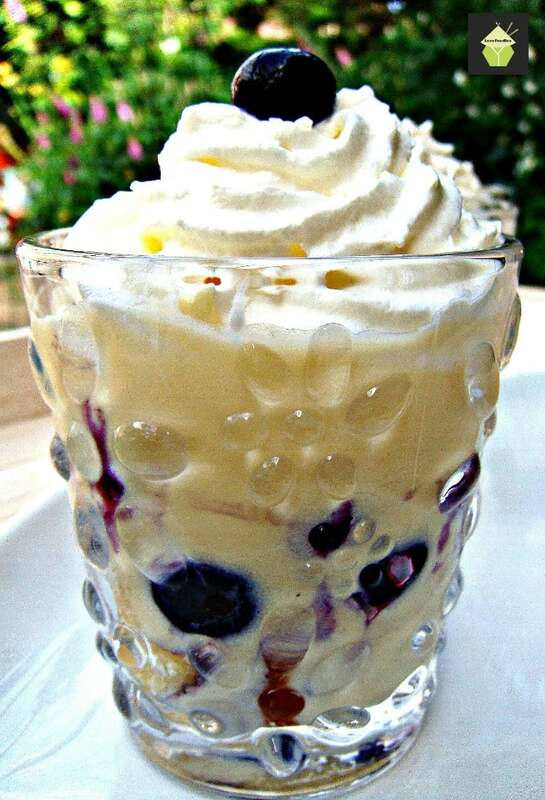 White chocolate in trifle… perfect! and you know white chocolate and raspberries is a great combination with such wonderful contrasting flavors of sweet from the chocolate and sharp from the berries. mmmmm this is delicious! 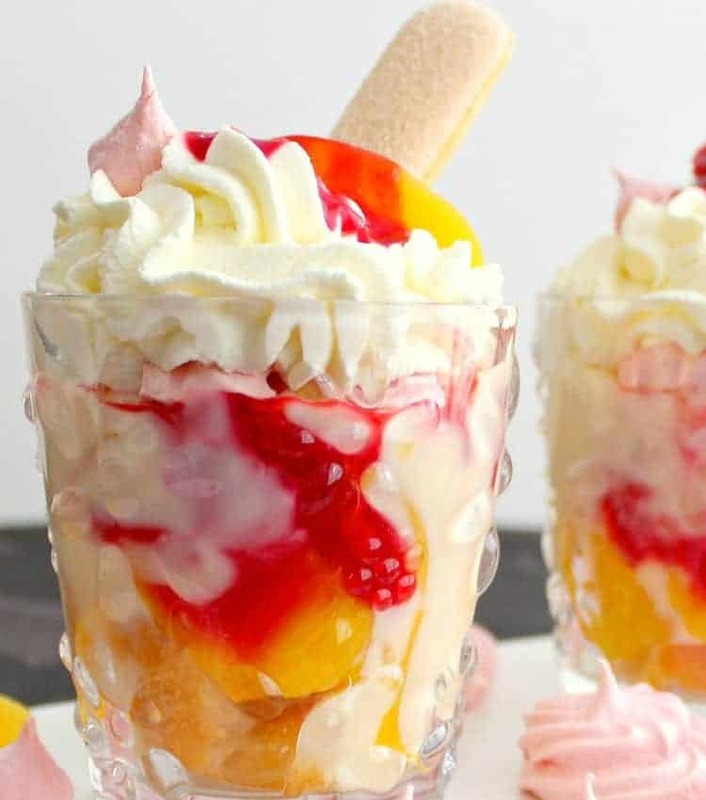 This is a great take on the 1970’s classic Peach Melba recipe and made in to a trifle! Peaches are so delicious and when combined with an easy tasty raspberry sauce it takes it to another level! This trifle is incredibly quick and easy to make too! Oh my goodness! 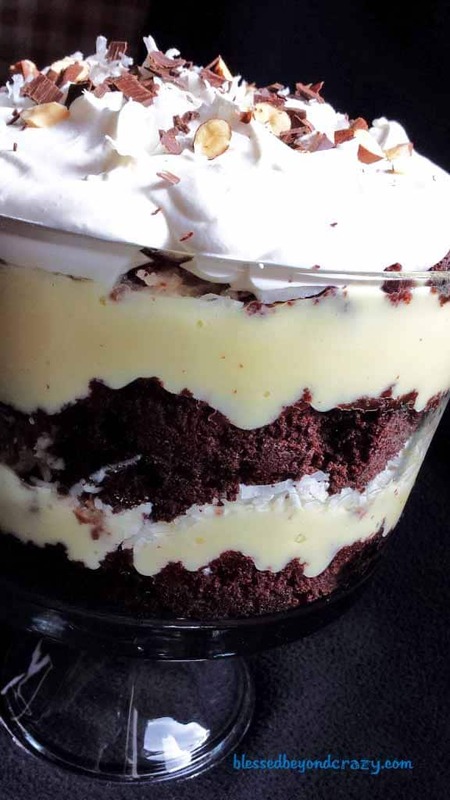 Linda and Anna over at Blessed Beyond Crazy are always cooking up a delicious trifle and their White Chocolate Almond Joy Trifle is their top top top most popular trifle recipe! Hop on over and take a look at how to make it. It’s really easy and there’s also a Gluten Free option for those who prefer. It’s a yummy one! Wow! Imagine this on your Thanksgiving or Christmas table! 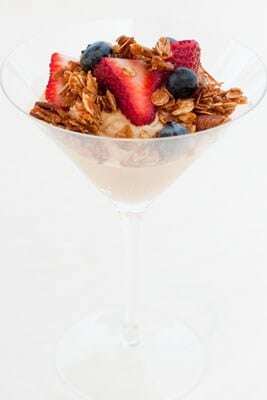 This trifle is an easy no bake dessert and so easy to make! Be sure to go take a look at what’s inside this. It really is amazing! Calling all blueberry fans! 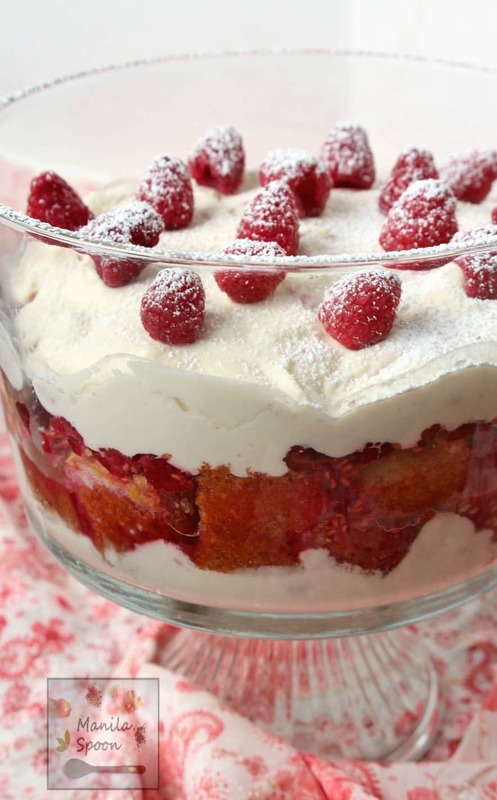 This trifle is so delicious! You can use fresh or frozen blueberries and make from scratch or cheat and use a few ready made ingredients. 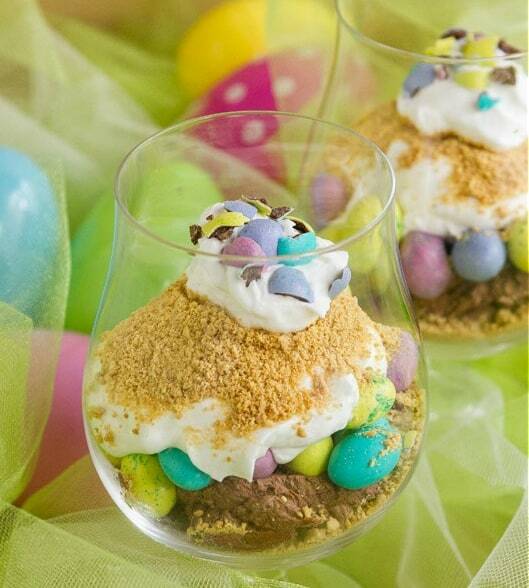 Serve in individual glasses or a big sharing trifle bowl. So yummy! 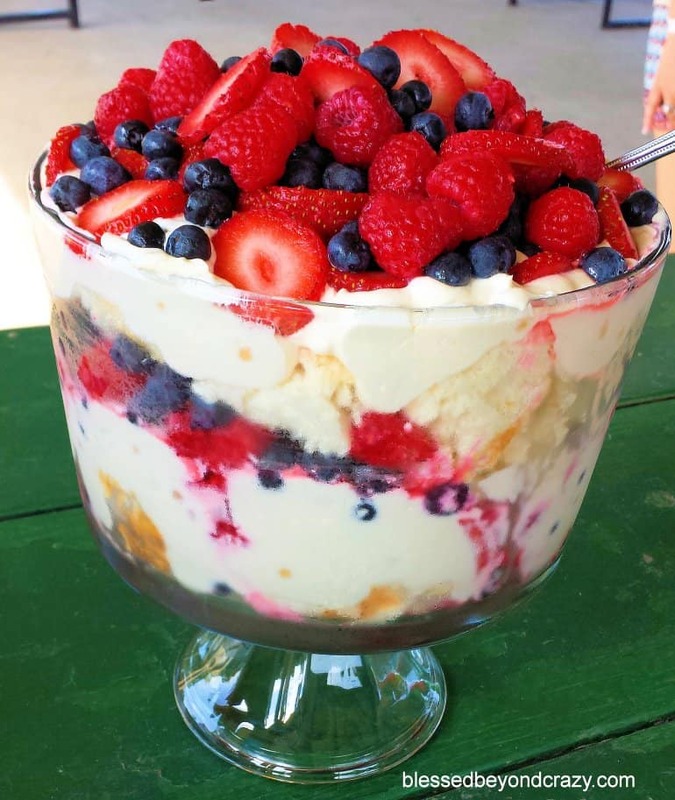 Just look at the pretty colors in this trifle! Freshly whipped cream, yummy custard, fruits plus Italian Panettone or any sponge cake make this a delicious and party-perfect Trifle! These little treats take only 10 minutes to make and they’re ready! It’s a great recipe for the kiddies to help with too! Ahhhh angel food cake and trifle? Oh yes! This is one crazy delicious dessert and so popular at party time! Easy to make and a real show stopper! 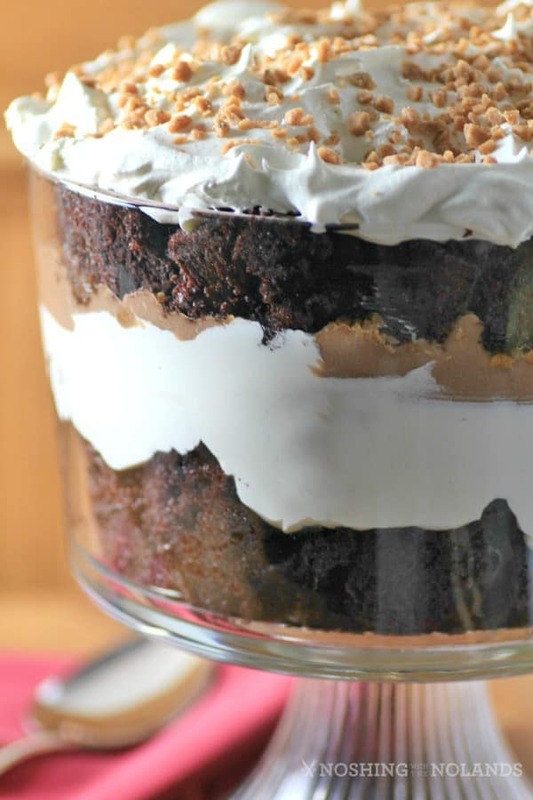 Chocolate brownies in a trifle? You bet! Layers of delicious brownies with layers of chocolate pudding and whipped cream and then a sprinkling of chocolate on the top. oh my! This is a chocolate lover’s dream for sure! So there you have it! 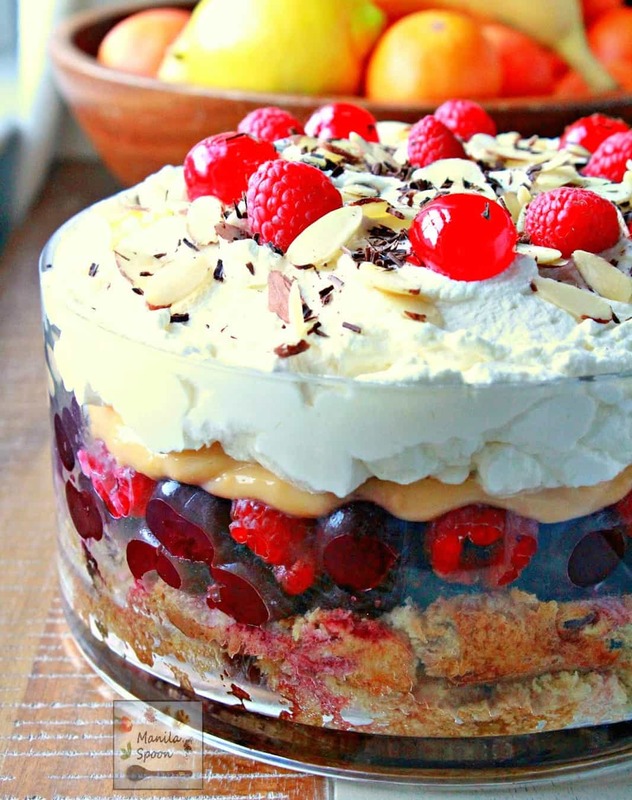 Our 14 Amazing Best Ever Trifles really are quite something aren’t they? We hope you will get to make one or even all of them over the coming weeks and I’m sure your friends and family will absolutely love them just as much as we do. Don’t forget to save the recipes or pin them so you’ve always got them handy and thanks very much for looking and have a very happy time trifle making! We’d love to hear from you and what you thought of our post. Which trifles did you like the most? Let us know in the comments below. Thanks for reading and happy cooking! Everything looks delicious!! Where do I begin? Now these are some awesome trifles! I don’t know which to try first! All this lusciousness in one place! I love them all, but which one should I start with??? I can’t decide. 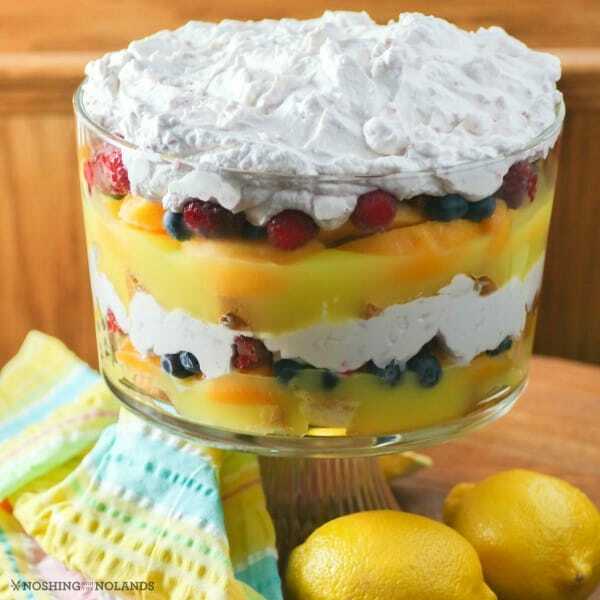 Trifles are perfect for the holidays, great way to feed a crowd.